So what is it with men and transportation? If it has wheels and moves, we’re all over it! 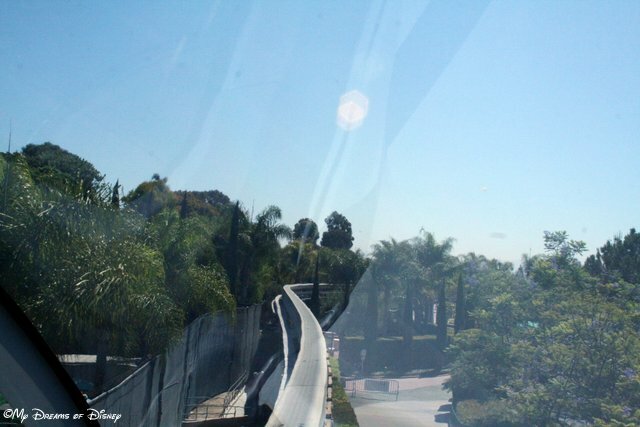 I never miss a chance to ride the Tomorrowland Speedway/Autopia cars, even though I can’t breathe while doing so. 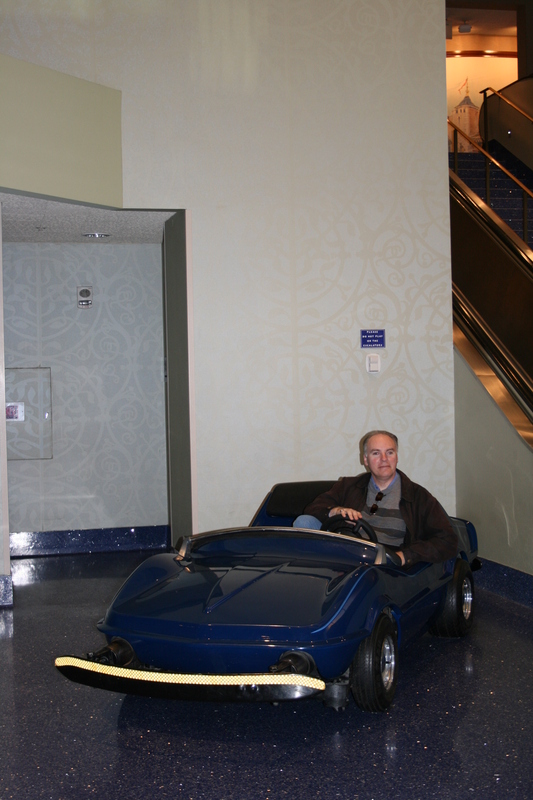 DL Hotel: I’ll even drive indoors! I use snuggling with my wife as an excuse to ride the PeopleMover, although technically it doesn’t have wheels, but it does move! 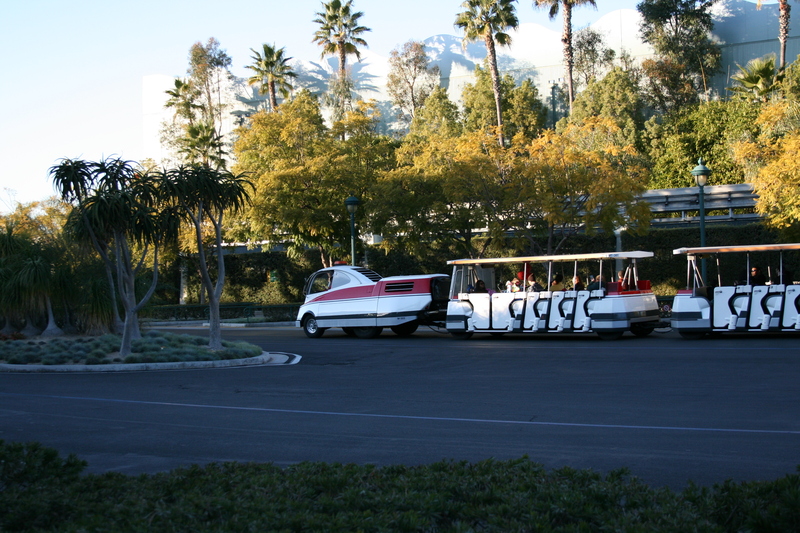 For more on my obsession with this form of Disney transportation, and many other Disney ride vehicles, just click the link. I also love the vintage vehicles on Main Street. I even prefer to drive to Walt Disney World instead of flying! Let’s face it, I’m hooked on Disney transportation! But I think I come by this obsession honestly as I share it, not only with every other man on the planet, but also with Walt Disney himself. 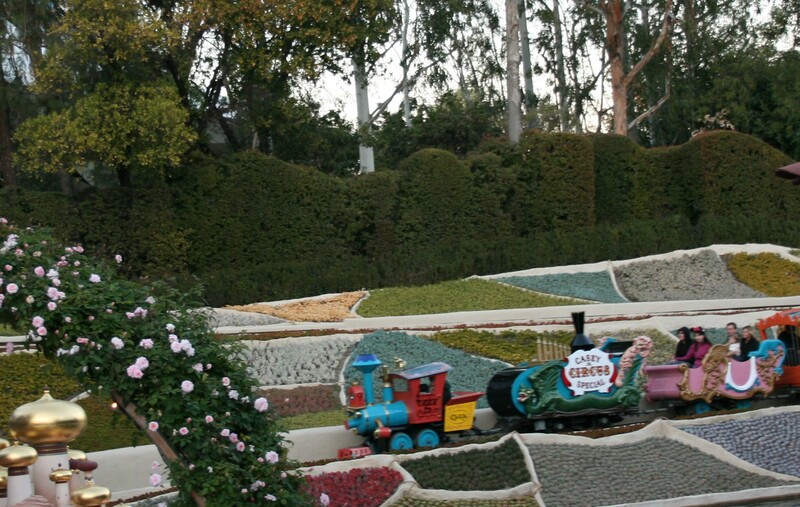 After all, who do you think put all of those wheeled wonders in the parks? DL: I even love riding the trams! 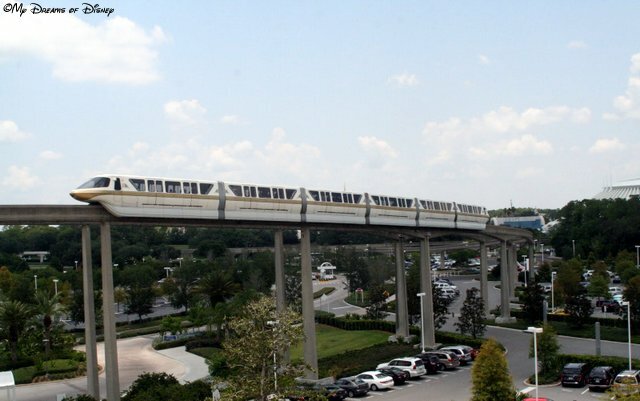 But my top two transportation-related Disney obsessions are the trains and monorails, both at Disneyland and Walt Disney World. There’s nothing like the sound of a real steam locomotive! 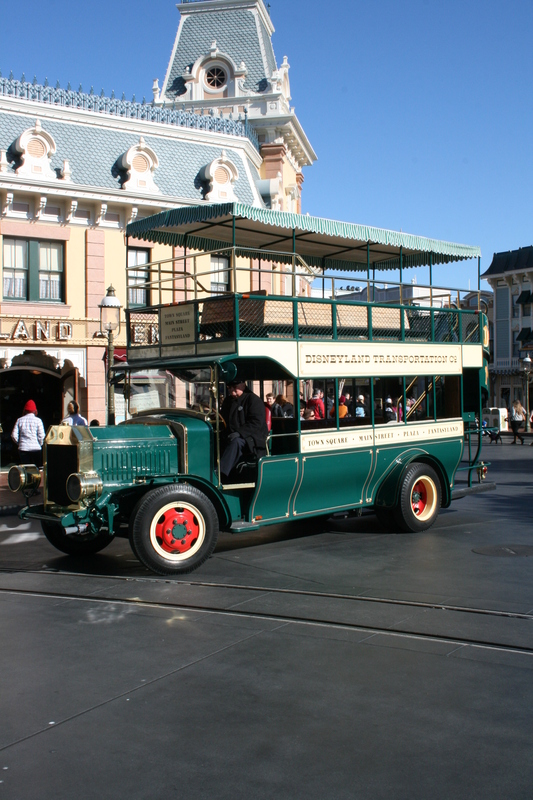 And when it travels along a scenic route such as in a Disney park, one can’t help but love the trip. In contrast, there is also nothing quite like gliding silently along the cement beam of the monorial! Maybe it’s the extreme difference in technologies between the steam engine and the monorail that makes riding these forms of transportation so special for me. Leave it to Walt Disney to include the nostalgic right alongside the modern! 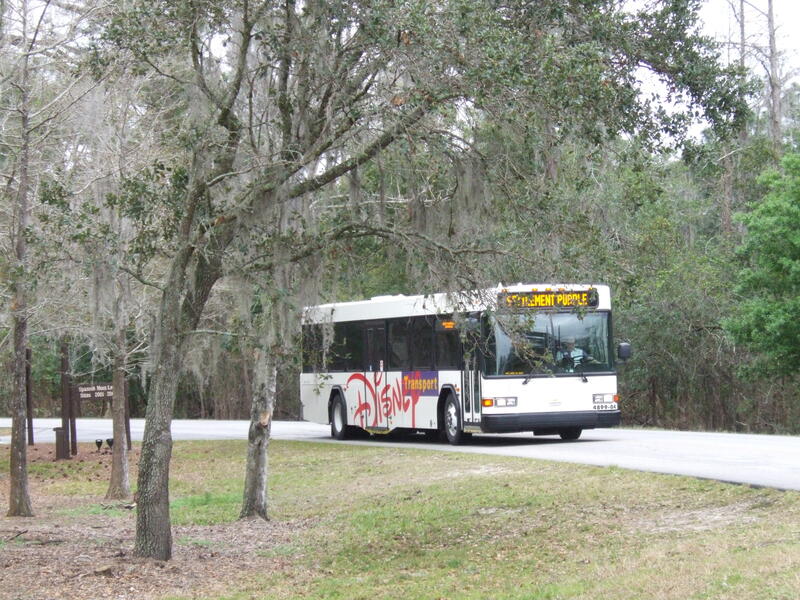 WDW: I even like riding the buses! 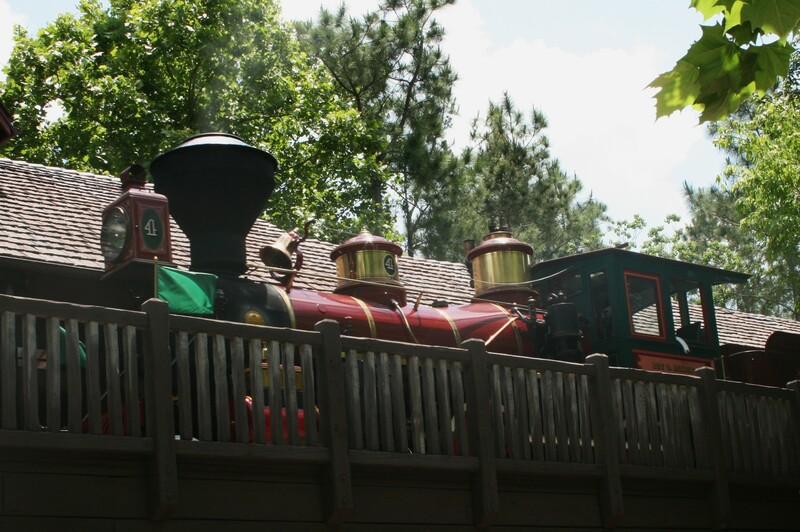 The train length at Walt Disney World is 203 1/2 feet. The entire system is 14.7 miles long. The average speed is 40 miles per hour. The maximum speed is 55 miles per hour. 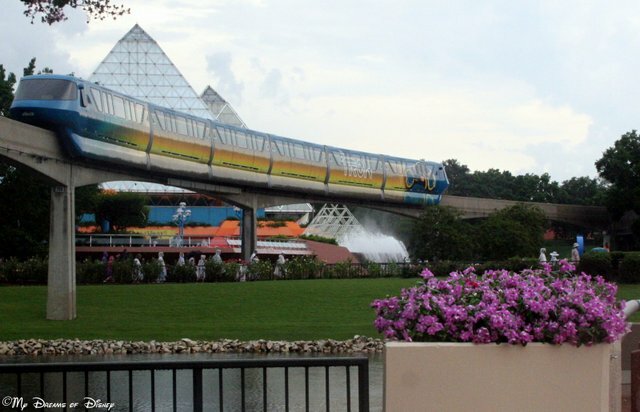 Every year, about 50 million passengers ride on the Walt Disney World monorail. 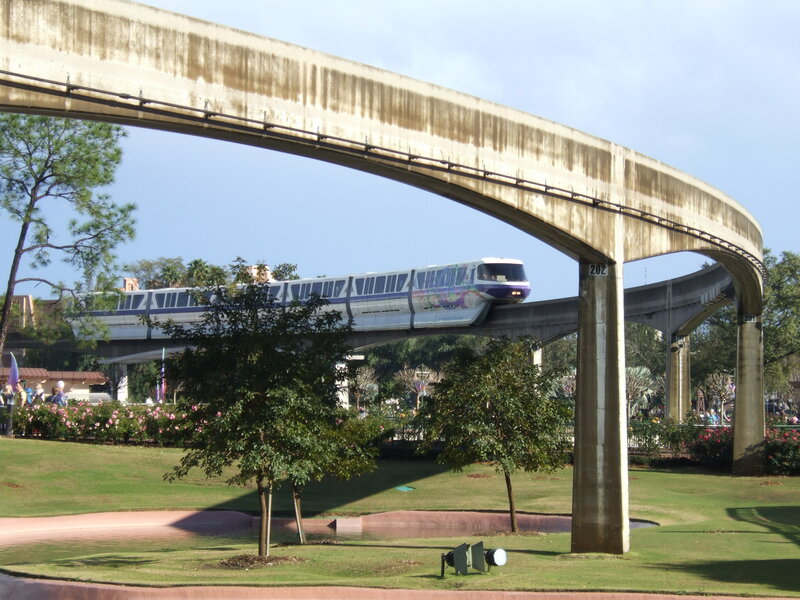 This is just a drop in the bucket of monorail facts for you today. I think numbers like this are really cool ways of learning more about Disney, and I hope that you enjoyed our look at the Walt Disney World Monorail system! 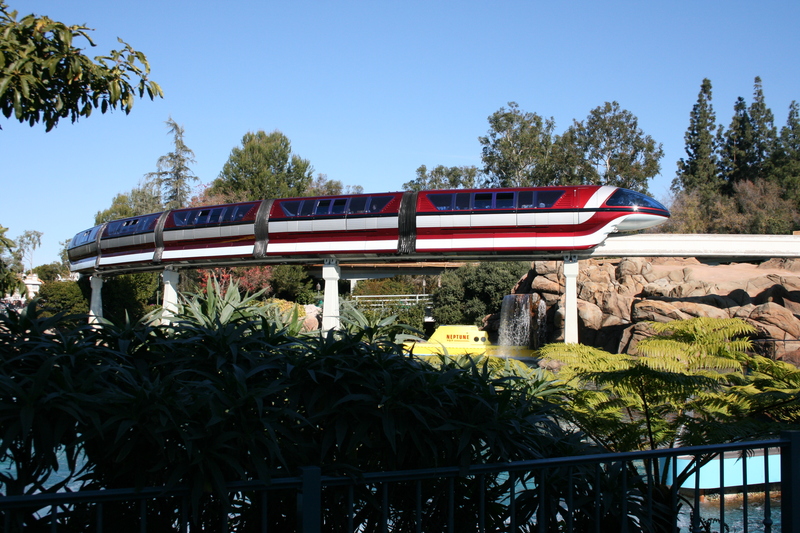 What is your favorite part of the monorail? Let me know in the comments, and thanks! Also, special thanks to my friends Jodi from Magical Mouse Schoolhouse and Heidi from Heidi’s Head for contributing to this great series!